Bask in the benefits of LEDs that contribute to a greener home. Builders and home owners alike have the opportunity to take advantage of under cabinet, decorative and overhead lighting with elio® LEDs. The long life of LEDs offer longevity in quality lighting while the reduced power consumption contributes to a green initiative and lower energy bills. A higher quality of light will bring out the natural beauty and colors masked in homes under traditional fluorescent & halogen lighting bringing new life into your everyday living spaces. Under cabinet lighting brings new light to counter tops allowing for more efficient use of kitchen space while above cabinet lighting highlights hidden architecture & décor. Elio LED Lighting can truly transform everyday living areas at a small operating cost. We are a distributor of high performance LED lighting products. We strive to bring in products that are innovative with high performance standards and unique benefits. Our approach to lighting is much different than what others are currently doing. We take feedback from the contractors and apply them to continually evolve bringing on various manufacturers that will save time and money for installation and out perform most lights in today's market. 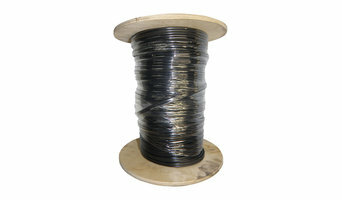 Our Commercial lines have some of the highest Lumens per Watt in the industry. They have a very stylish design without the big heat syncs needed. 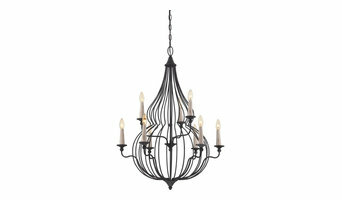 We also carry multiple lines of decorative lighting to fit your lighting needs. Xodus Innovations is a manufacturer of electronic products for the North American consumer market. We are dedicated to developing and marketing unique products with high quality and value added features that meet customer needs for better performance, longevity, and usefulness. A well-lit home is essential for both functional and aesthetic reasons. Lighting designers will analyze your Holland, MI home's layout, structure and needs to create an effective lighting plan throughout your home. 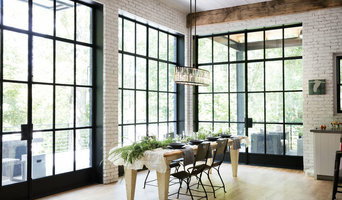 Though electrical engineers or interior designers can take on the task of outfitting your home with the appropriate lighting, a professional Holland lighting designer explores lighting as a technique. Think about how you plan to use each area of your Holland, MI home. It's important to communicate to your Michigan lighting designer which space will be used as an office and which will be a media room, for example, as these will require very different lighting methods. In addition, consider how you'd prefer to control the lights. Lighting technology today includes dimmers, sensors, photocells (that let lights react to the amount of daylight in a space), programmable scene controls (that let you program different settings for varied lighting) and whole-house lighting controls (that let you control all or a portion of your home's lights from one source), allowing you to tailor your lighting controls however you wish. Find a lighting designer on Houzz. Narrow your search in the Professionals section of the website to Holland, MI lighting designer. You can also look through Holland, MI photos by style to find a lighting design you like, then contact the designer.